Lionel Messi is reportedly not keen on the prospect of a swap deal involving Barcelona offloading Philippe Coutinho to secure the transfer of Antoine Griezmann. Such an exchange has been talked up as an option for the Catalan giants in a report from Don Balon, but Messi is said to have vetoed it as he doesn’t want Griezmann at the club, and also just wants Coutinho gone. 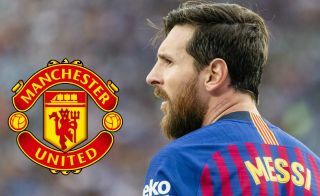 It remains to be seen how much sway the Argentine will have over Barca’s transfer plans, but Manchester United will surely be keeping an eye on this situation. If it’s true that Messi wants Coutinho gone, that surely plays into the Red Devils’ hands, with the Independent recently linking them with an interest in the Brazil international. Despite his struggles in La Liga, Coutinho was world class in his Premier League days with Liverpool, and would surely be seen as an upgrade on Alexis Sanchez were he to get back to his best at Old Trafford. United fans will surely be hoping Messi can end up forcing the 26-year-old out, while the Griezmann situation may also be of interest to them. The France international has been strongly linked with MUFC by Sport, though one imagines the PL giants would not sign both players in one summer.